Today, March 16th is World Water Day. 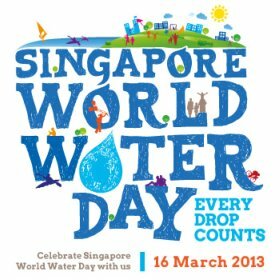 Countries like Singapore participates on this yearly event to brought awareness on how to conserve water. Just before I left home for work, I saw a chart from a morning show here in Singapore that shows the consumption of an average Singapore household. It was shocking to see that shower consumption is much higher than laundry consumption. I have to admit that I spend a lot of time in the shower but if we collectively spend less time at the shower that means a lot of water saved. 1) Take a shower for less than five minutes or better use a water pail instead of the shower. 2) Collect the used water from your dish washing and use it to water your plants. 3) Collect rain water and use it to water your plants. If you have good portable water purifying system, use it instead of your tap water. Do you have any water saving tips? I'll be glad to hear it from you. 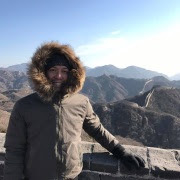 citizens all over the need to really share in this global event. water is essential to life. great tips on how to conserve water. all of must should do our share in order to save our precious water. It's great that Singapore is holding worthy causes such as this. I am all for Green and Preservation. Thank you for the tips! well written and very informative article. water is one of those essential things that most of us just take for granted. thanks for the saving tips. That is nice that they give an emphasis to conserve water and involve every individual on it. this is definitely few ways to conserve water and of course help Mother Earth in any ways. I am lazy to do that :) I think I'd rather pay my water bill, hahaha! we tried saving our water too by not flushing our toilet many times a day. I didn't know there's a World Water day! We practice the tips you cited here at home. It's unfortunate that conserving water is neglected often because we don't experience the shortage. I have heard of the water day related activities here in Philippines. Thanks for sharing this! I hope really that we will all be very conscious on how we use water because studies showed that soon enough we will drain our resources. Haha I couldn't imagine of how did they know about identifying the statistics between the use of laundry and showering. But whatever it might be, this is a nice thing to commemorate the importance of water.